EDDIE BOND has never quite picked up the record company veneer. Sitting in his Memphis office, or an English pub, he still looks like the sort of heavy Southern lawman who'd bang you up for dropping a sweet wrapper. 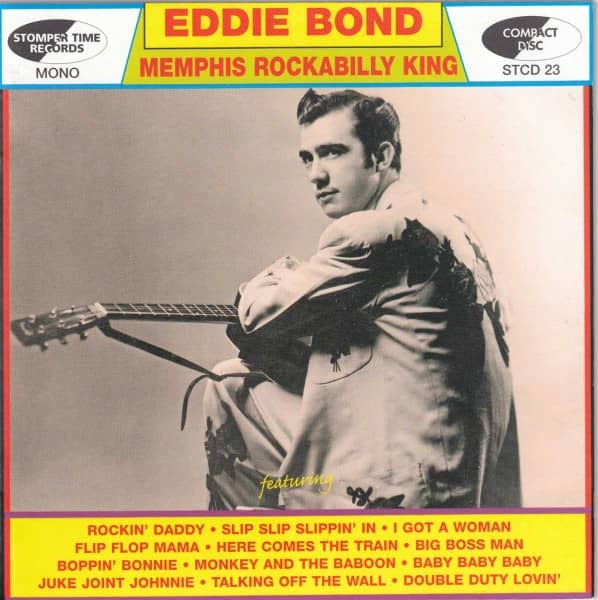 Eddie James Bond learned to rock in Memphis where he was born on July 1, 1933. He grew up with country music acquiring a taste for Roy Acuff and Ernest Tubb. After a stint in the Navy, he formed his first band, the Stompers, during the early '50s choosing Reggie Young (lead guitar), John Hughey (steel guitar) and a blind pianist, Jimmy Smith. They were rejected by Sam Phillips who thought Bond's voice lacked character. In 1955 Bond made a couple of country records for Ekko and it's likely that these brought him to the attention of D.Kilpatrick who signed him to Mercury in 1956. We've chosen Rockin' Daddy (a cover of Sonny Fisher's Starday classic), Flip Flop Mama (a Bond original), Boppin' Bonnie (written by Charlie Feathers's associates, Jody Chastain and Jerry Huffman), and Slip, Slip, Slippin' In from the pen of Bob Belyeu who wrote Honey Stop for Faron Young and Lonesome Train for Johnny T. Talley. Belyeu's song was also recorded by Lou Millet, a C&W singer turned rockabilly whose ferocious version on the Republic label has been valued at $1000 plus. All four of Bond's tracks are blessed with the definitive hot rockabilly guitar playing of Reggie Young who competes with John Hughey's steel on Rockin' Daddy, contributes two sizzling breaks to the other titles and more than compensates for the characterless nature of Bond's voice. Scotty Moore referred to Young's prowess in an interview with Trevor Cajiao: "Reggie was playing real good and then he went into the army, and when he came out...Lord ! He was scalding! Just had a lot of time to practice I reckon". Sam Phillips turned Bond down again in 1958 but eventually relented. Bond's career took other surprising twists and turns. In 1973 he devoted an album to Buford Pusser, Tennessee's rugged symbol of law enforcement whose harrowing story was told in the movie,'Walking Tall'. Eventually, Bond became one of the rockabilly glitterati, feted in Britain and the rest of Europe. 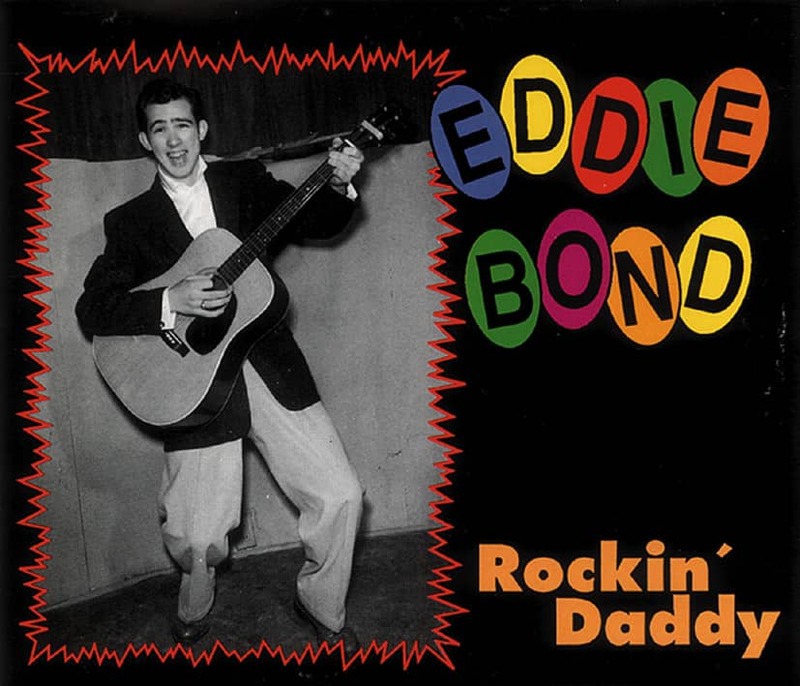 His Ekko, Mercury and Sun/Phillips International recordings have been gathered up on 'Rockin' Daddy' (Bear Family BCD 15708). 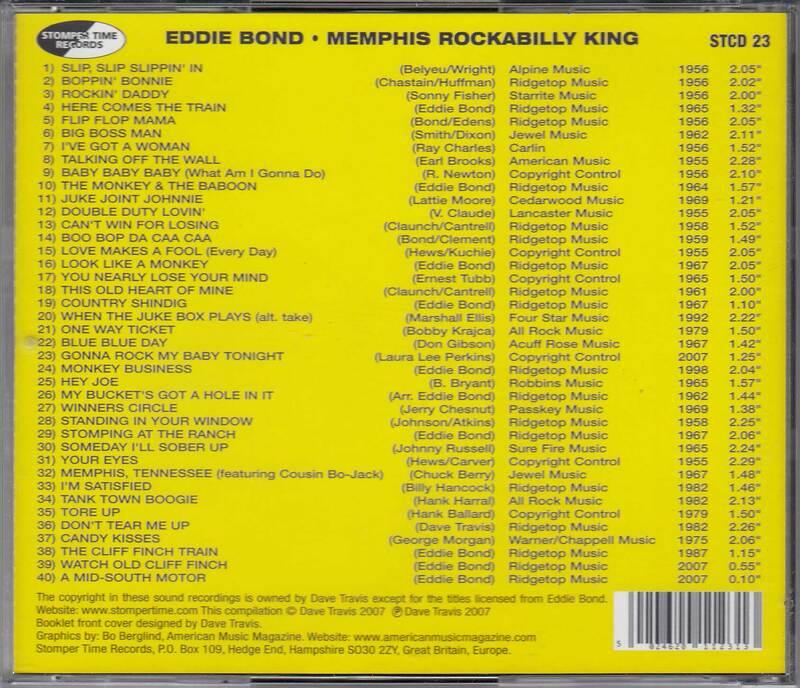 Customer evaluation for "Memphis Rockabilly King"